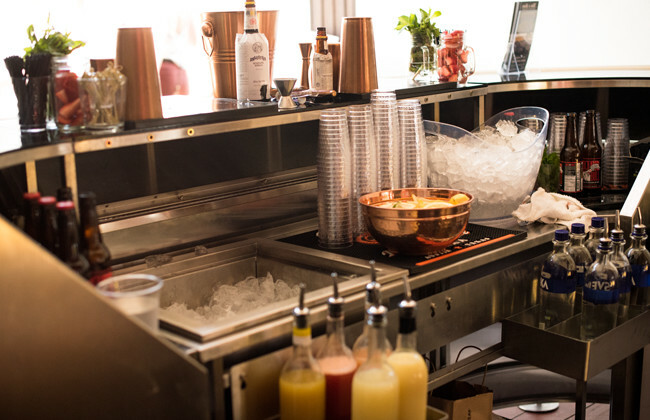 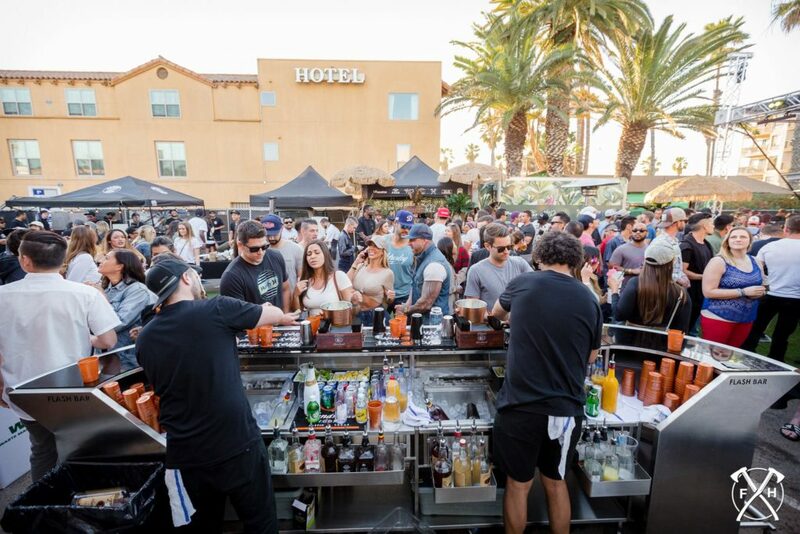 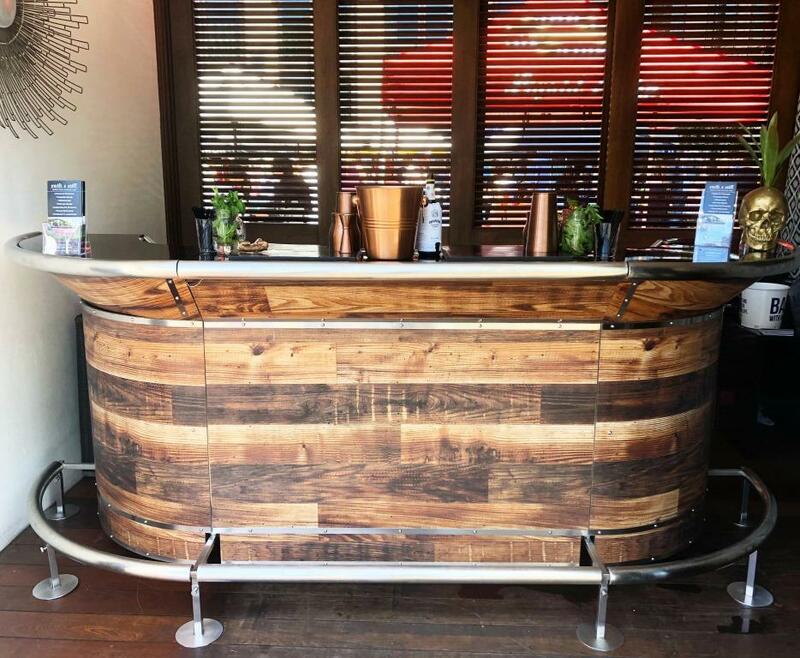 Our bar is a fully modular satellite bar constructed of high grade materials which allows our customers to have the look of a restaurant quality bar in the comfort of their desired event space. 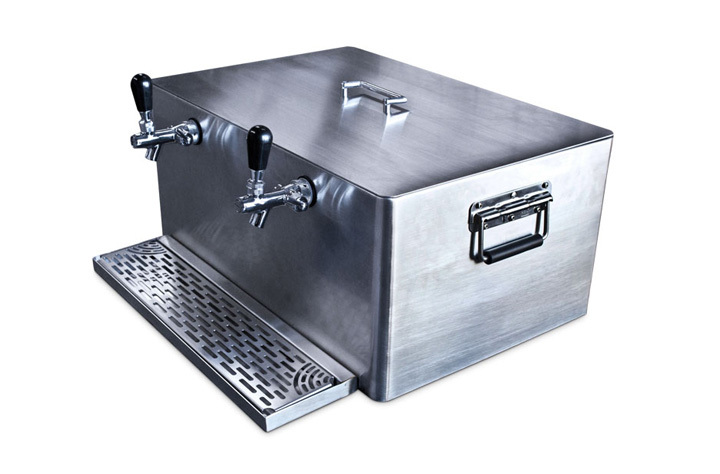 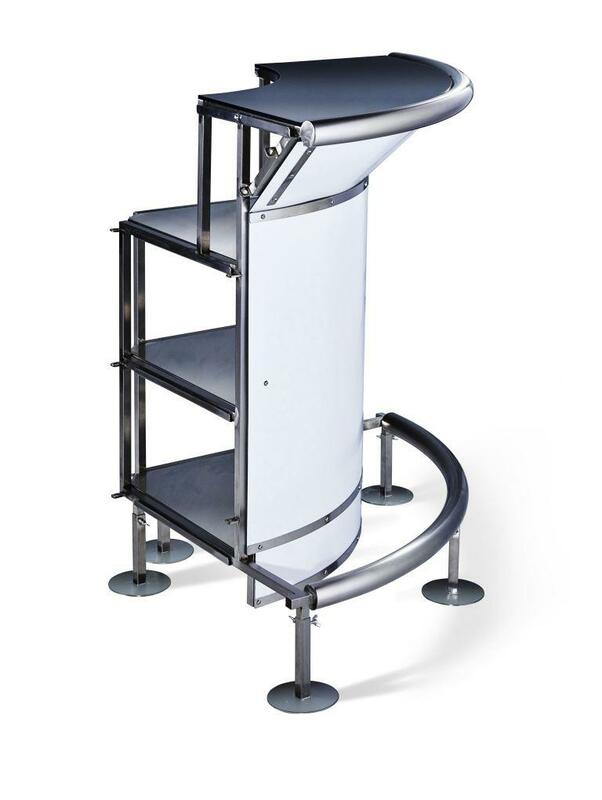 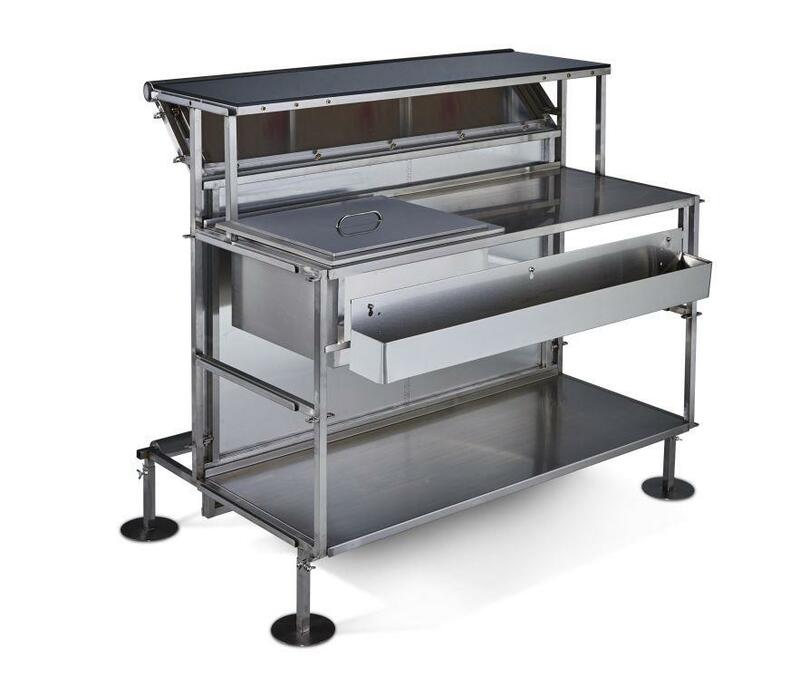 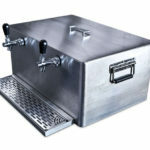 Our bar comes in a variety of shapes and sizes which makes it easier to adjust to our customers needs. 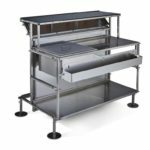 Our full size set up has the capabilities to reach a measurement of 14.5ft L x 3.5ft W x 4.5ft H.
Our half bar has the capabilities of 9.5ft L x 3.5 W x 4.5ft H.
Our single straight segment bar is set up of 4ft L x 3.5ft W x 4.5ft H.
These bar options allow us to cater to events from 10-2000 people with ease.